are patient-responsive, oxygen-powered resuscitation/inhalation devices intended to provide emergency ventilatory support for patients weighing more than 10 kg (22 lb). Utilizingpatented technology, Oxylators® are simple, safe and effective and give the care giver utmost flexibility in airway management during emergencies and attended short-term ventilation. 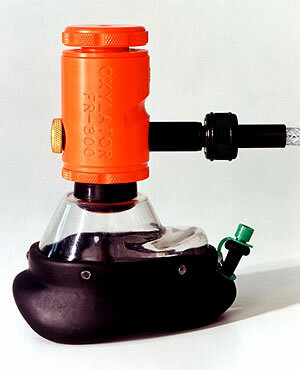 The Food and Drug Administration (FDA) classifies Oxylators® in Class II (two) under the Product Code 73 BTL. The devices meet the performance standards as set out in ASTM F920-85 and ISO 8382. The Oxylator® is a Class I (one) device a referenced in JAMA 'Guidelines for Cardiopulmonary Resuscitation and Emergency Cardiac Care', American Heart Association (AHA). Oxylators® are patient responsive resuscitators that incorporate two distinct functional elements during a ventilatory cycle. The first, during the inspiratory phase of a ventilatory cycle, is a selectable pressure limit which initiates the second, a passive expiratory phase, which is flow controlled. 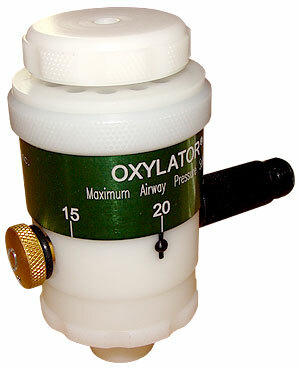 The Oxylator® will not start a new inspiratory cycle until exhalation is complete. That point is reached between 2-4 cmH2O of PEEP in automatic or continuous mode, and at baseline in manual mode. This eliminates 'stacked' breaths and their associated complications. The end of the expiratory phase then triggers the next inspiratory cycle, hence the new inspiratory phase is flow triggered. 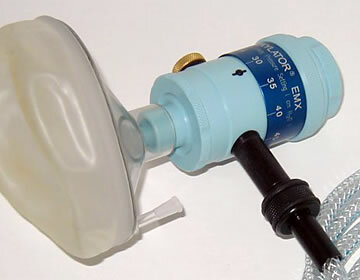 The design of the Oxylator® provides various unique features, some of which can otherwise be found only on higher priced ventilators. In the hands of a trained caregiver administering cpr, Oxylators® are resuscitation management systems. The Oxylator® was designed to provide utmost flexibility, safety and effectiveness by combining all the features of a resuscitator and a first response ventilator in a small, handheld unit.